Some times our micro SD cards or pen drives contain some serious viruses which can not be deleted by using anti virus. in this type of condition we have only one way to get access our SD card normally by formatting it. but our important data such as pictures and videos also deleted with the formatting. so we want them back from the SD card. For recovery of deleted images or videos, you just need to follow the simple steps given below. 2. Install card recover to your computer. 3. Connect your sd card or pen drive to your computer. 4. 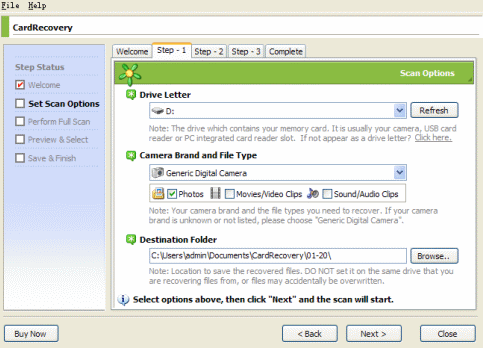 Open card recovery software on your computer. 7. 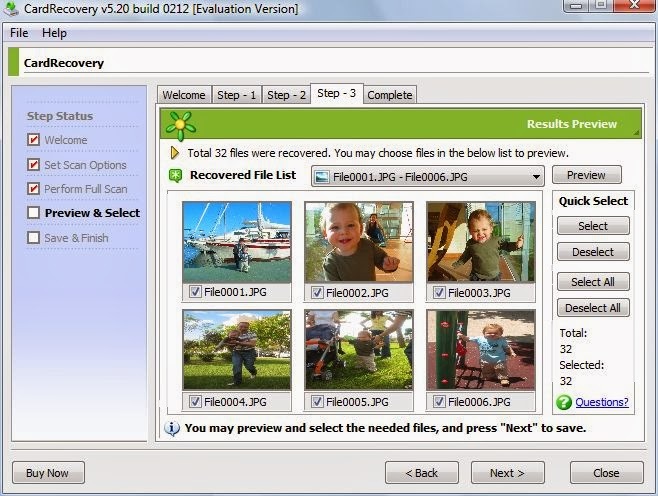 Select file type you want to recover such as photos,videos and then click next. 8. Now you are on Step -2 and your files recovery is in progress. 9. When step -2 is completed you will go on step -3. 10. Now you have to choose that which files you want to recover if you want to recover all files then click on select all. 11. After choosing the files click next. 12 now you are all done open recover folder and just see your files. NOTE : before using the card recovery software do’not forget to crack it by the cracker which is provided with it. if you like our post please do’not forget to like our Facebook page from right corner at the top of the page for staying connected with us. So that is how you can Recover Deleted Photos or videos from your SD card or pen drive. If you have any query related to our post please comment below. Tool worked pretty much but at the end, I was unable to save them to my system. Hence, I opted Remo Recover application to restore deleted photos from memory card. It worked fine for me..